Say Something Nice: HOLLOW MAN (2000) | Birth.Movies.Death. Hated upon release, Paul Verhoeven's mad scientist effort contains some impressive FX work - which it then puts to impressive thematic use. 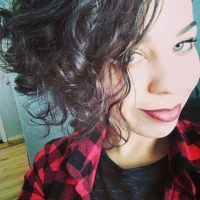 The upcoming Dark Universe - featuring reboots of the Universal Monsters - saw public chatter this year move quickly from anticipation of The Mummy to dread about the entire cinematic endeavor. The announcement of Johnny Depp’s future role as The Invisible Man in particular has raised widespread irritation, and some have cited Paul Verhoeven’s Hollow Man as a warning to any who would undertake a modern adaptation of H.G. Wells’ original story. But there are elements of the movie that shine. It’s not exactly a worst-case scenario. Loosely based upon Wells’ “The Invisible Man”, Hollow Man takes the sci-fi narrative from 1890’s London to present-day North America. In this adaptation, molecular biologist Dr. Sebastian Caine (Kevin Bacon) and his team are shuttered in a top-secret military laboratory crafting, as they have been for years, a weapon for the U.S. military: invisibility serum and a re-materializing serum. When they make a scientific breakthrough, Caine volunteers as the first human subject for the serum. Things go south from there as he gains anonymity and with it, a thirst for power. The movie is flawed. Andrew W. Marlowe’s slipshod script kept Kevin Bacon about six degrees away from the fully fleshed-out villainy he deserved as Dr. Caine, and the third act substituted a compelling climax for Hollywood action gimmickry and suffered for it. It failed to replenish its budget at the box office, bringing in an underwhelming gross of about $73 million. Even Verhoeven was critical of the film. In 2013, he remarked to The Hollywood Reporter: "I decided after Hollow Man, this is a movie, the first movie that I made that I thought I should not have made.” But one defensible element of the millennial science fiction movie remains: that of its stellar visual effects. Just as with The Invisible Man (1933), Hollow Man employed impressive visual effects for its time. Half of the film’s budget went into its effects work and it shows. One of the most astonishing sequences concerns the lab team attempting to restore visibility to a test gorilla, Isabelle, who had previously been given invisibility serum. Following a near-death experience, Isabelle begins to stabilize and stratum of organ, nerve, bone and muscle reappears before their eyes. It’s a moment of wonder, when you consider the degrees of difficulty involved in rendering layered internal structures as opposed to the fully-formed creatures that audiences marveled at in, say, Jurassic Park. Hollow Man’s lynchpin scene is one that is important in any Universal Monster film: the initial reveal. From the relatively benign (but still foreboding) appearance of Count Dracula to the Wolfman’s monstrous transformation by the light of the moon, the reveal must be memorable. It’s here that the 2000 adaptation shines as Sebastian Caine, drunk with ambition, undergoes the first human trials for the invisibility serum. As he turns over to a transparent state, the camera refuses to sit still, swaying along with the violent upheaval unfolding in the doctor’s body. It truly is a sight to see. When it was Dr. Caine’s turn to disappear, special effects supervisor Scott Anderson utilized brand-new volume-rendering software to create an uncanny 3D digital model of Kevin Bacon’s internal layout. The resulting scene displays a marvelous unfolding of layer-by-layer dissipation from epidermis to bone; a scene that holds up well nearly two decades later. As Dr. Caine moves about under the cover of invisibility, there is a fluidity and authenticity to his movements, when revealed through a lens of smoke, water, or blood (depending on who he’s trying to eliminate). Visual effects supervisor Craig Hayes used digital cloning to outline Kevin Bacon’s performance, which had to be done while he wore a latex body suit, face mask, contact lenses and a dental plate. Bacon’s entire body was digitally scanned and mapped in order to construct an uncanny clone, and post-production artists composited Bacon’s clone outline with footage of the same scenes filmed twice (once with actors and once without) to achieve the desired effect. This feat earned Hayes an Oscar nomination for Best Visual Effects (which lost to Gladiator). Yes, Hollow Man got a tip of the hat from the Academy. What's maybe more impressive is that the VFX technology doesn't simply dazzle; it's used in service of entertaining tension-building. While thermal imaging was no longer considered a high-falutin’ effect by 2000 (not since Predator, anyway), the addition of heat-sensitive equipment as a monitoring tool does a lot to underscore the film’s invitation to the viewer to join in on the undercover shenanigans. Watching Dr. Caine through those thermal cameras allows us to gaze without being gazed upon; we, like him, become voyeurs. How comfortable are we with following him as he paces back and forth in his cell, clearly going mad? As he deceives his team and sneaks out of the lab undetected? How about when he brutally kills an animal? When do we in the audience jump off that train and decide that we don’t identify with this man anymore? It’s a technique that’s been used to great effect ever since 1960’s Peeping Tom, and Verhoeven put it to good use here. Even using something as ho-hum as heat-vision can put in thematic work for a story, when deployed right. This movie deployed it right. While the film ultimately relies too much on technological bombast and fails to infuse a character-building serum throughout the body of its story, Hollow Man’s effects work is striking, then and now. 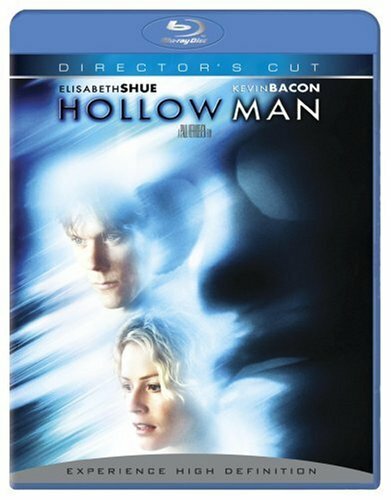 Such a dark and fantastical story requires hefty visuals to suspend disbelief and in that regard, Hollow Man nails it.